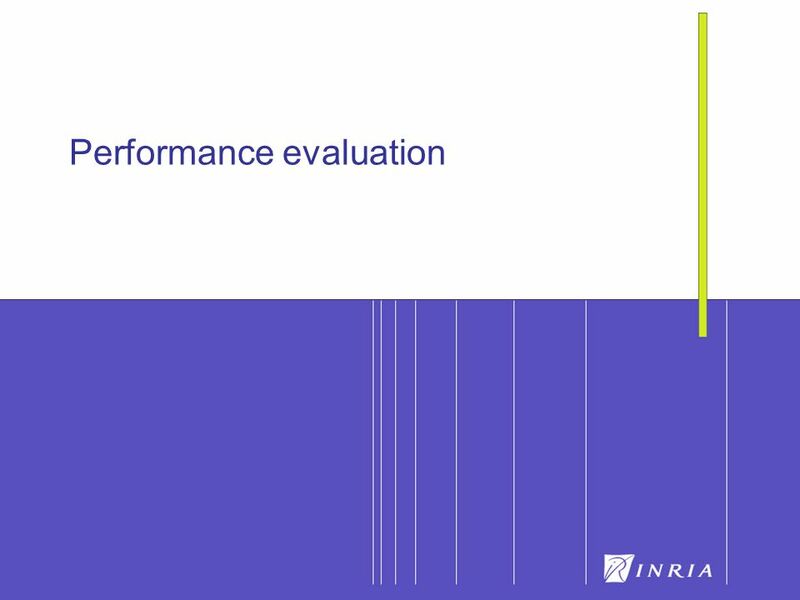 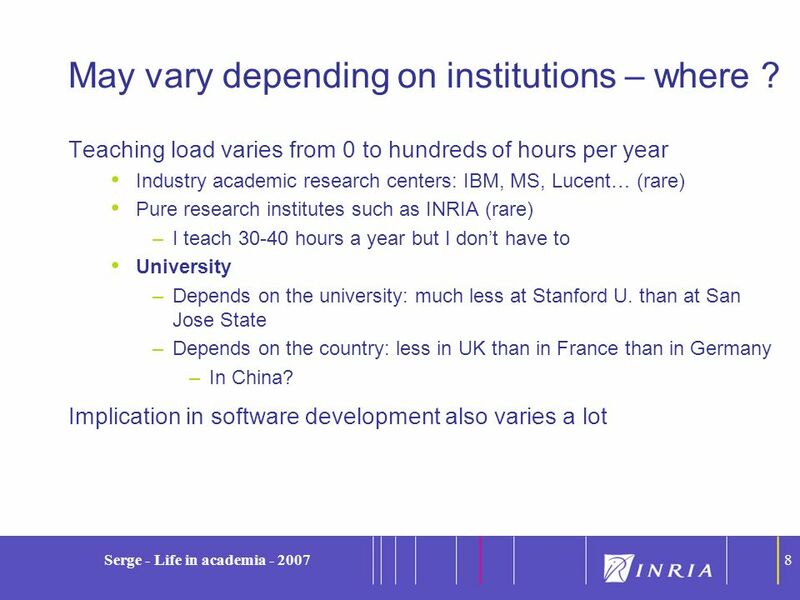 8 May vary depending on institutions – where ? 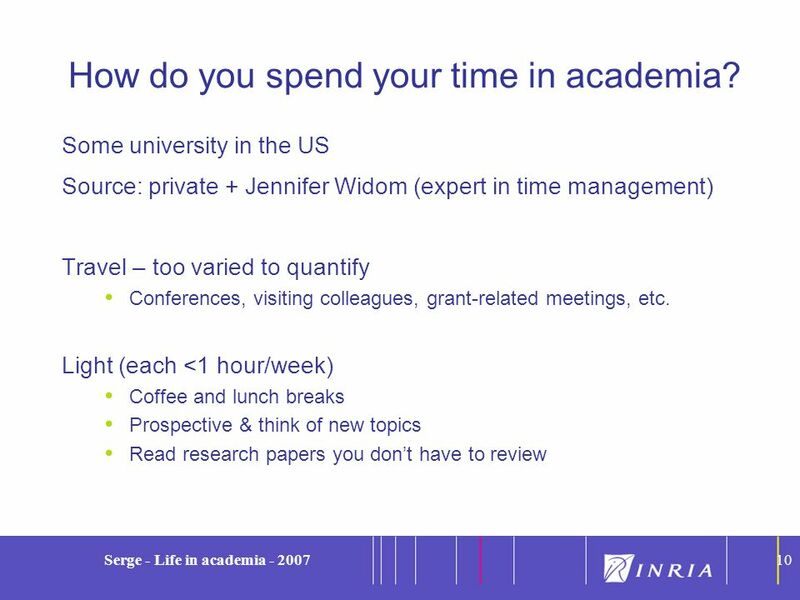 10 How do you spend your time in academia? 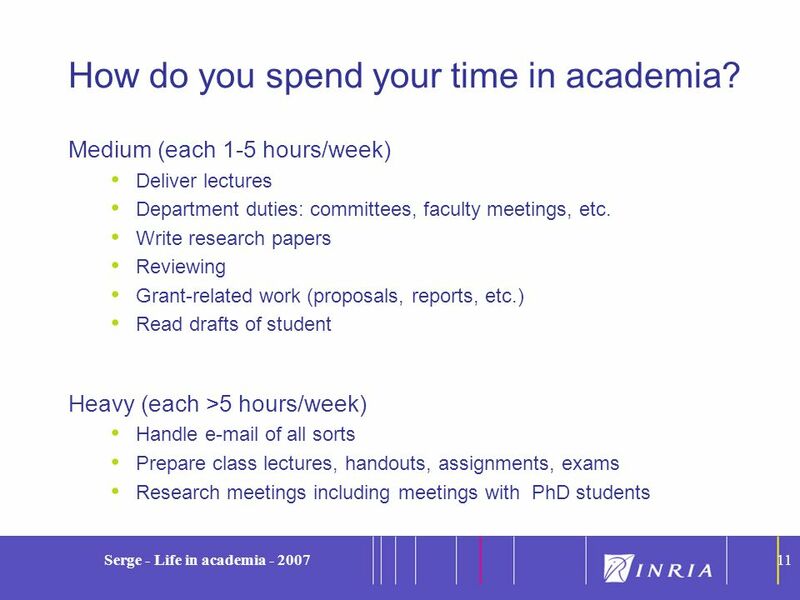 11 How do you spend your time in academia? 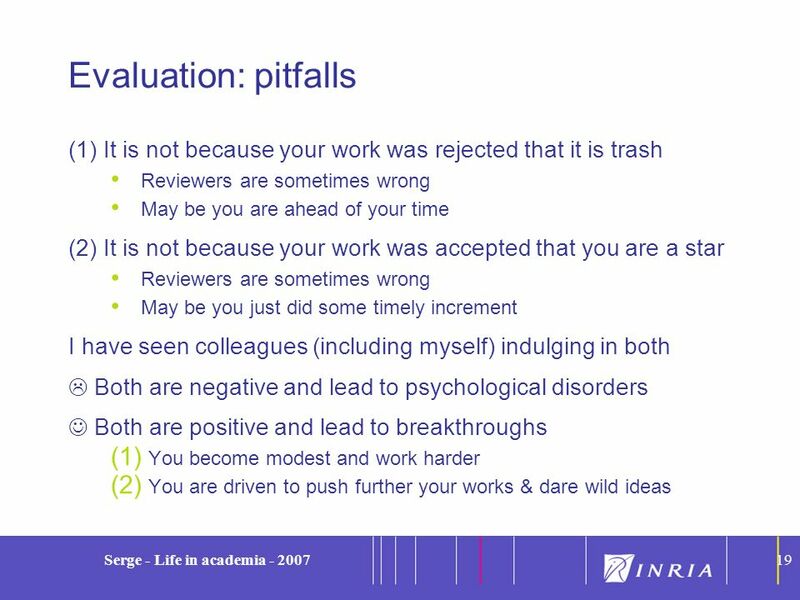 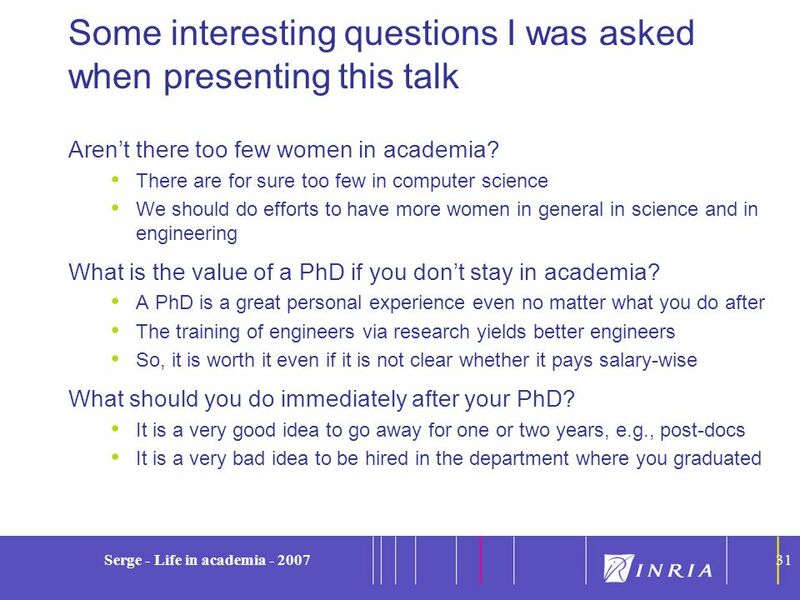 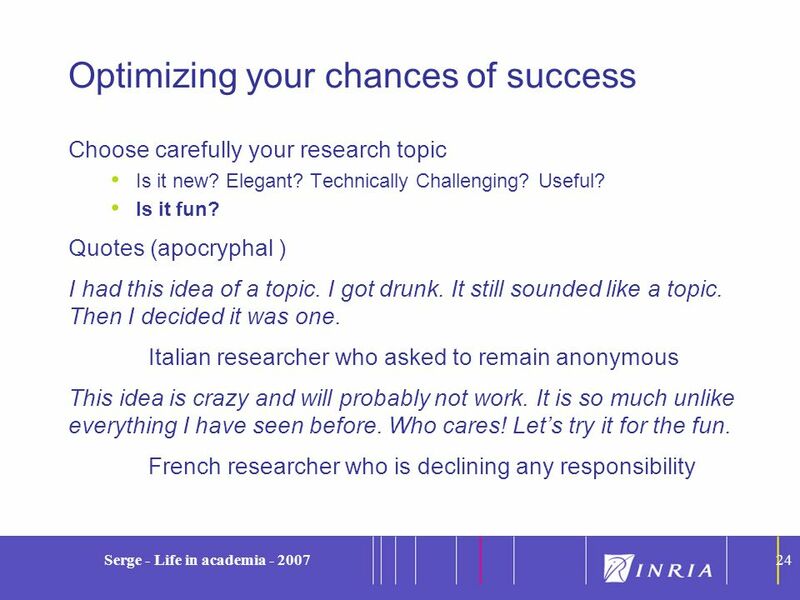 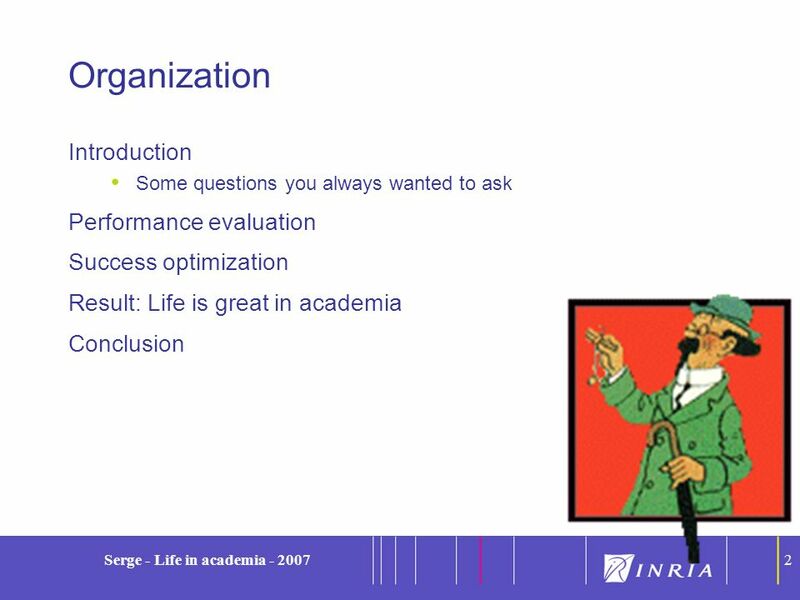 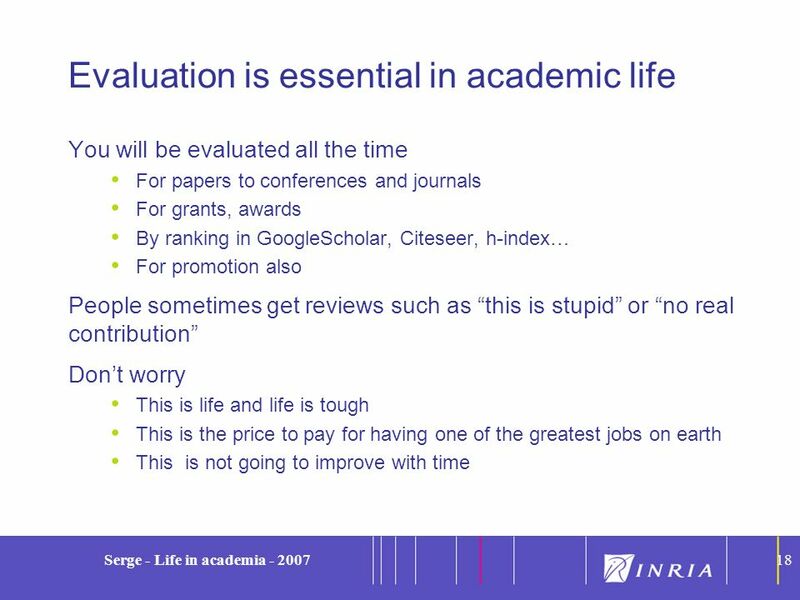 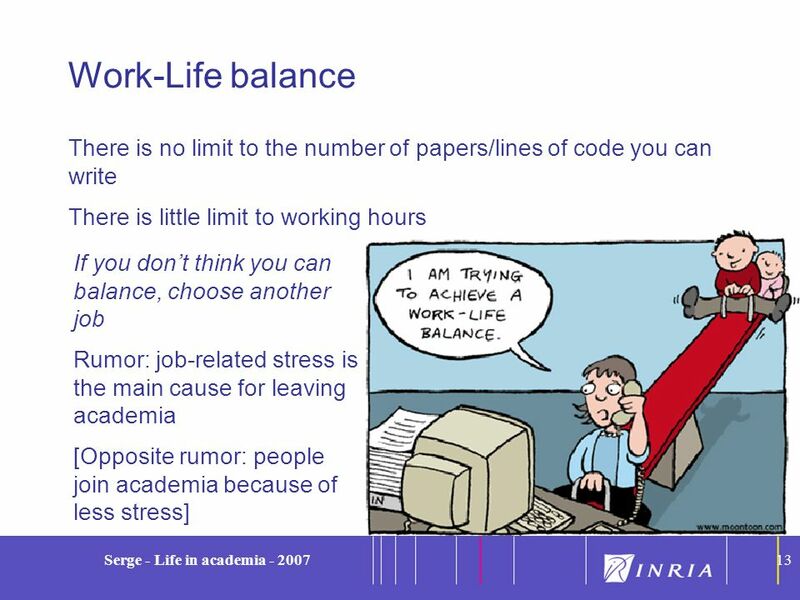 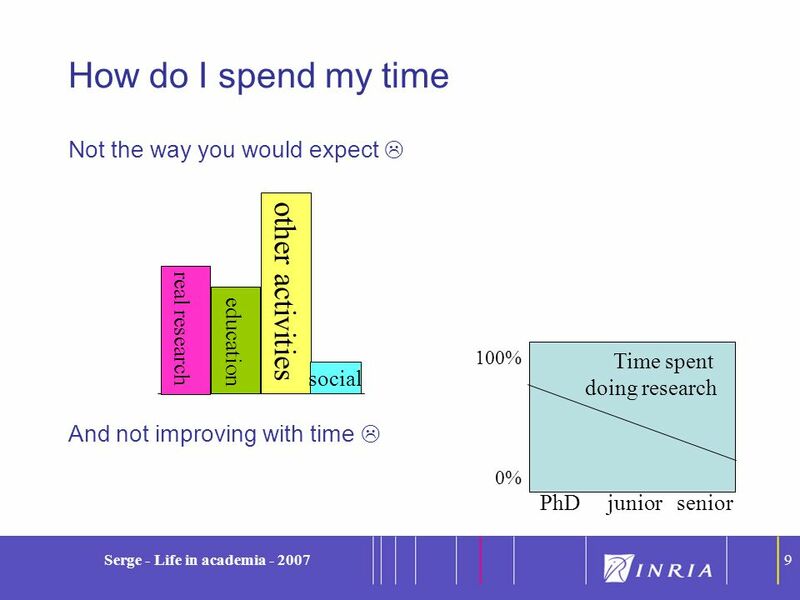 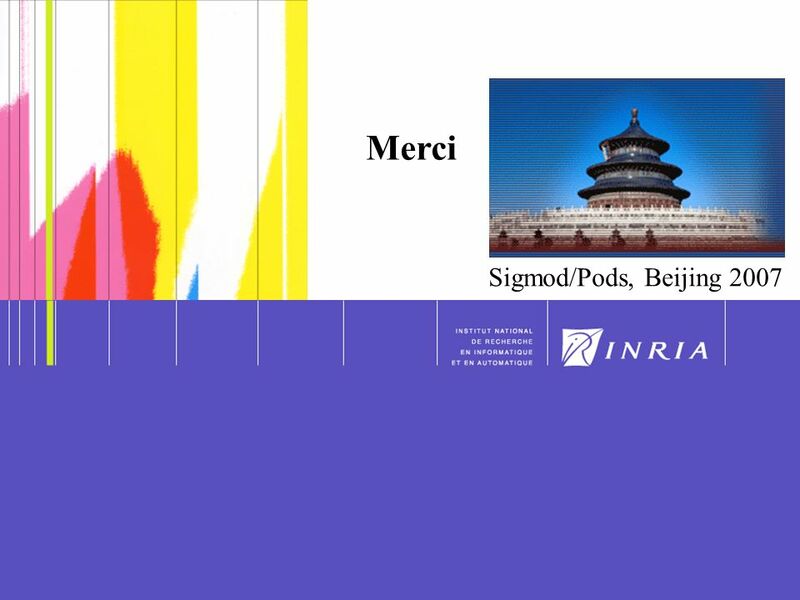 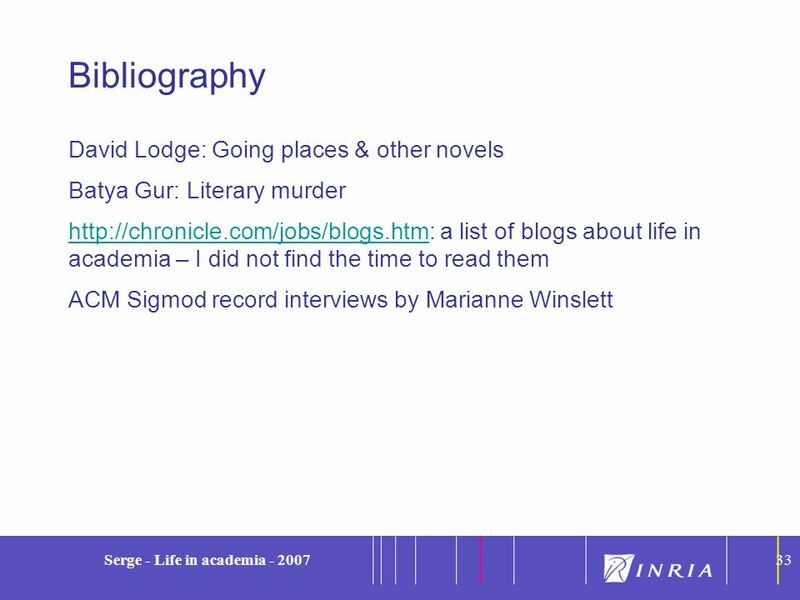 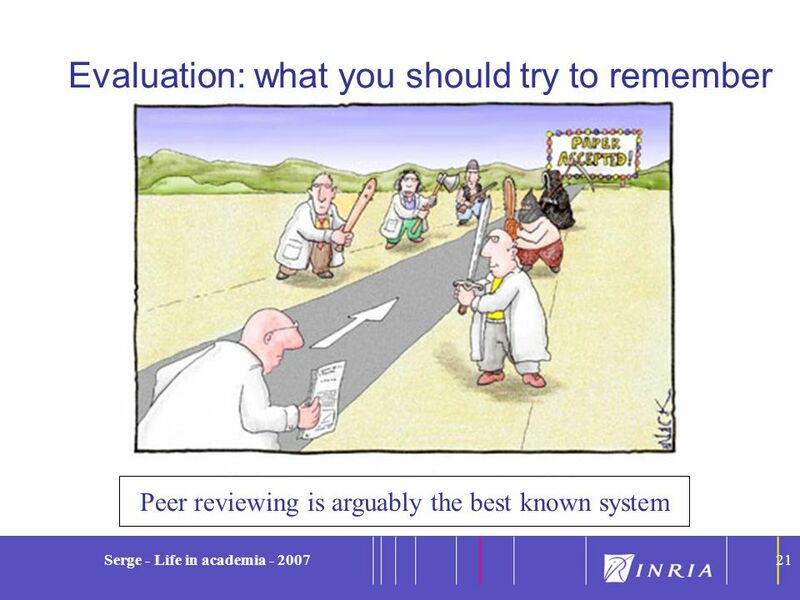 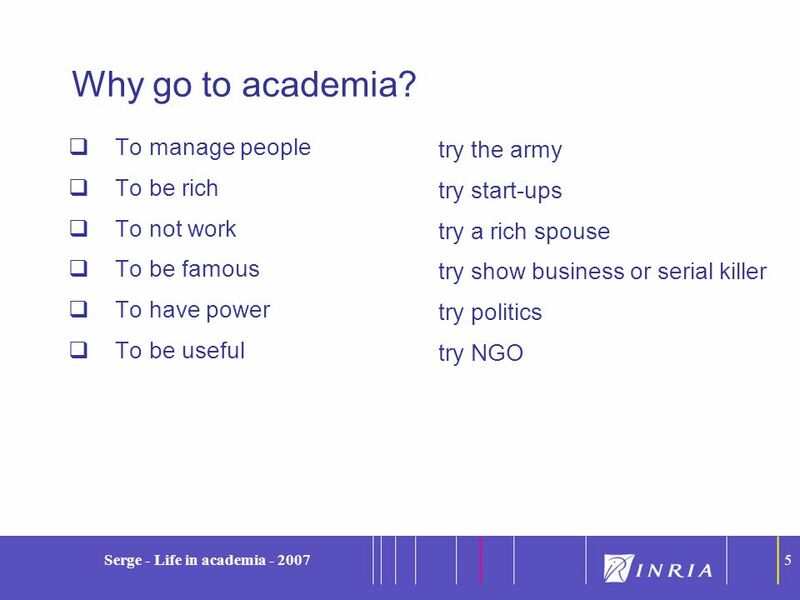 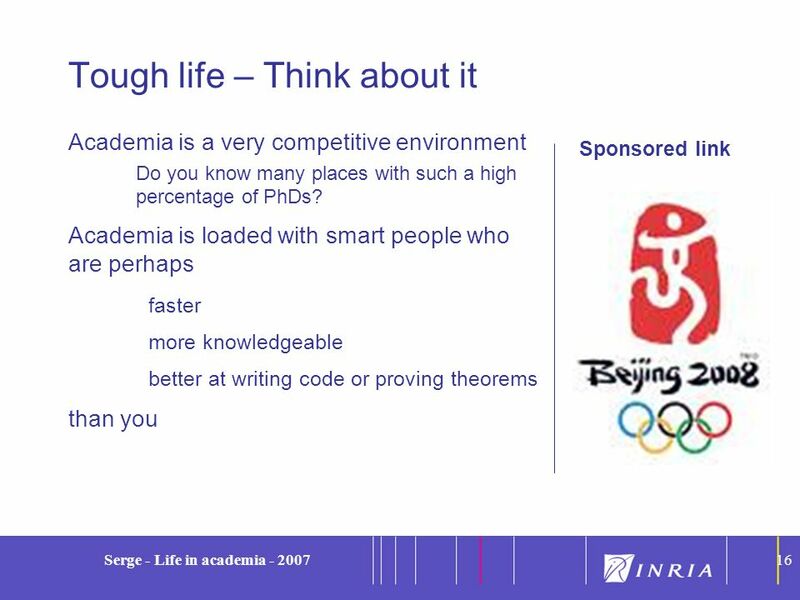 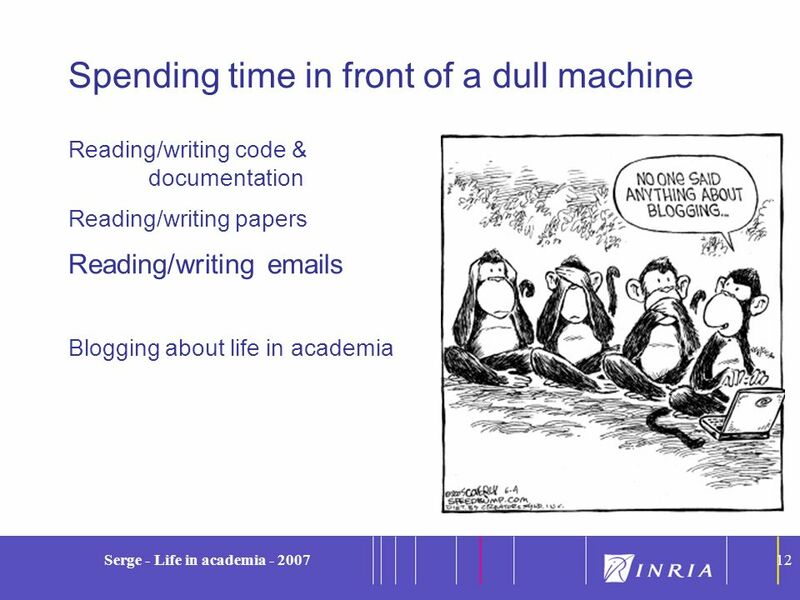 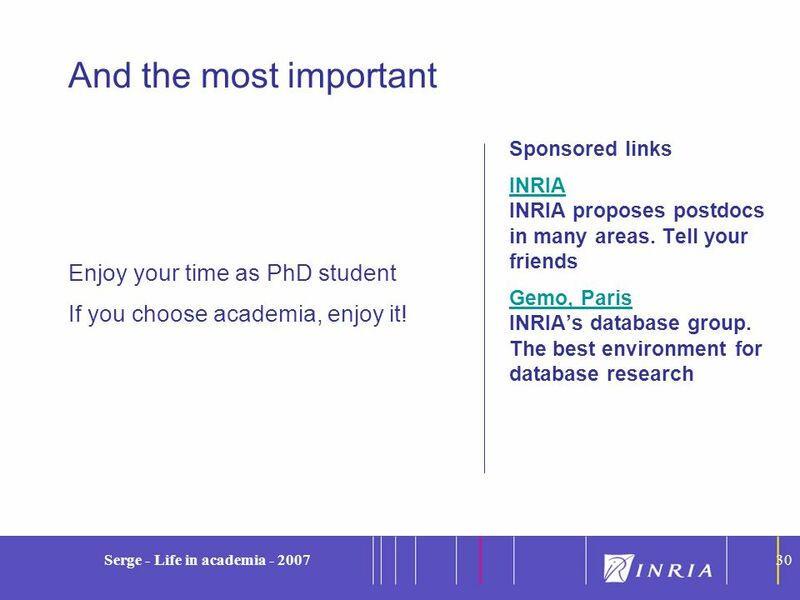 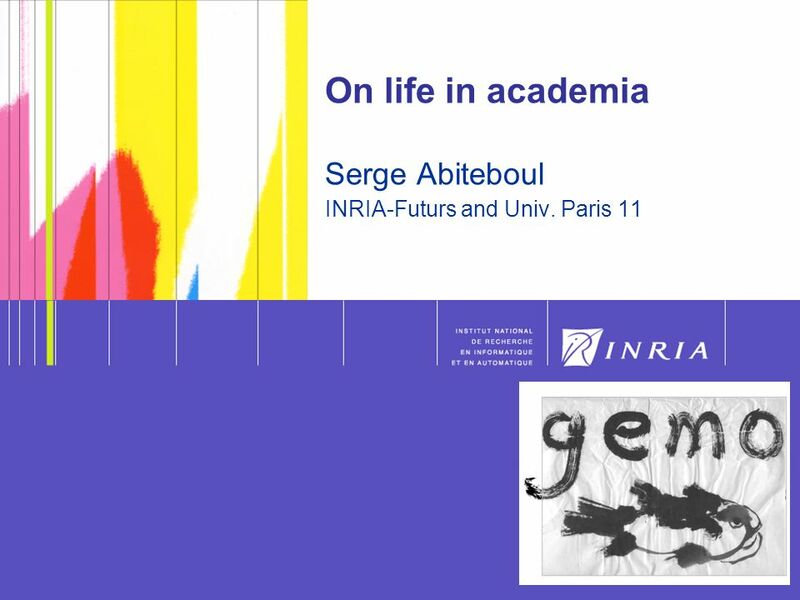 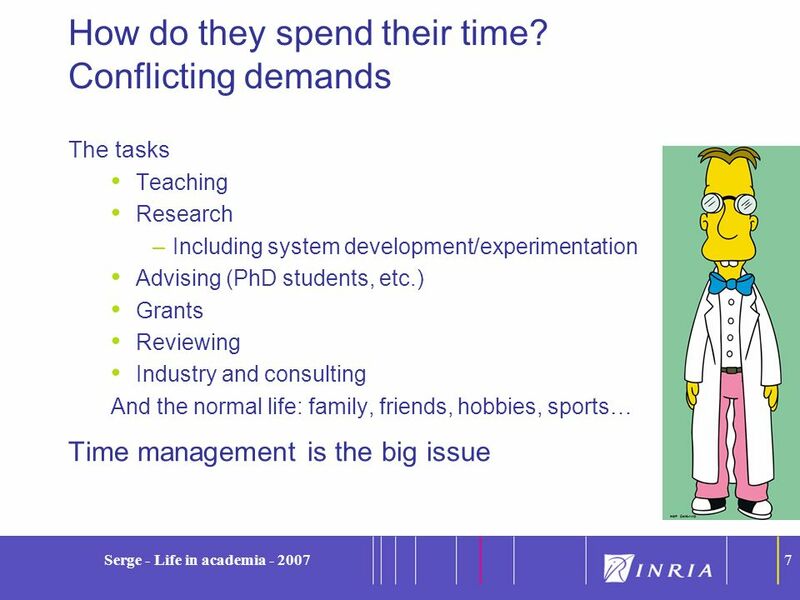 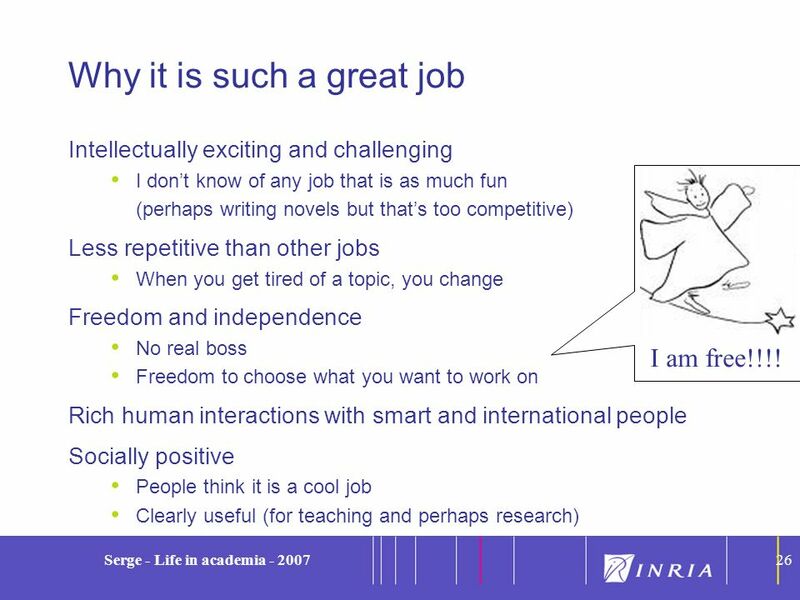 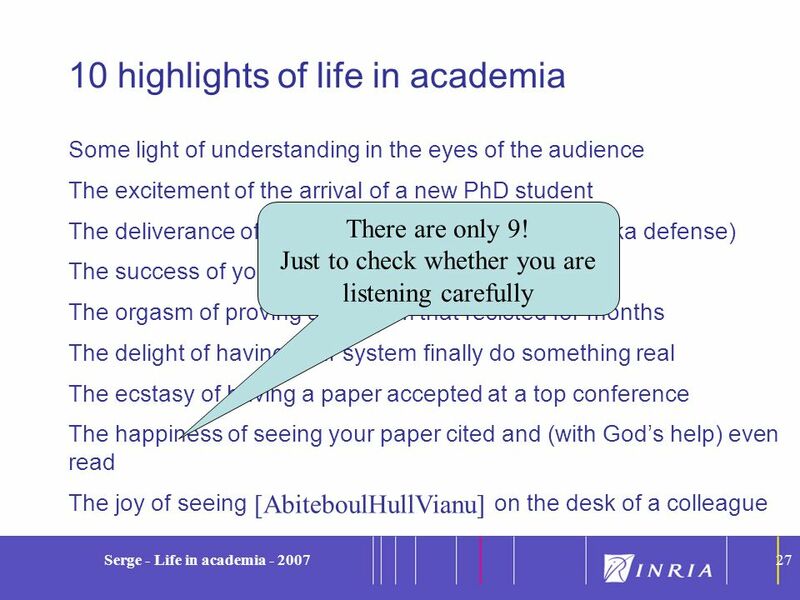 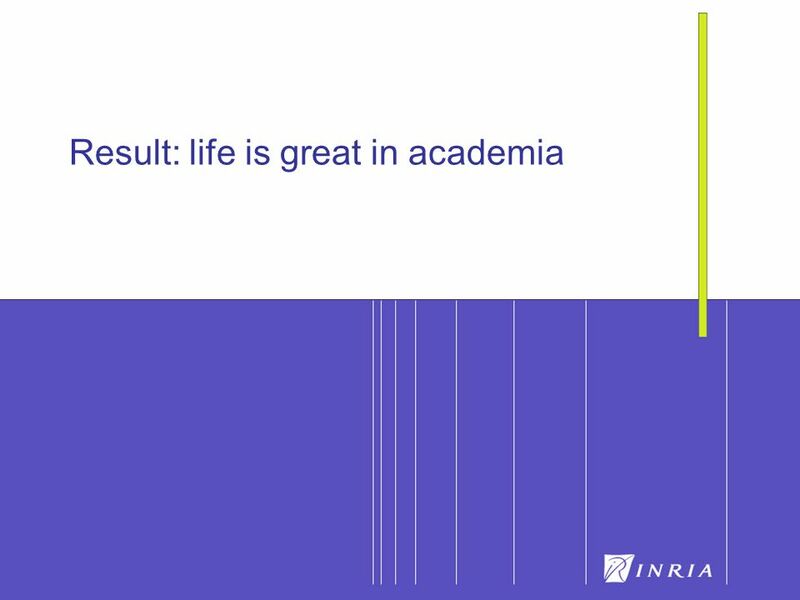 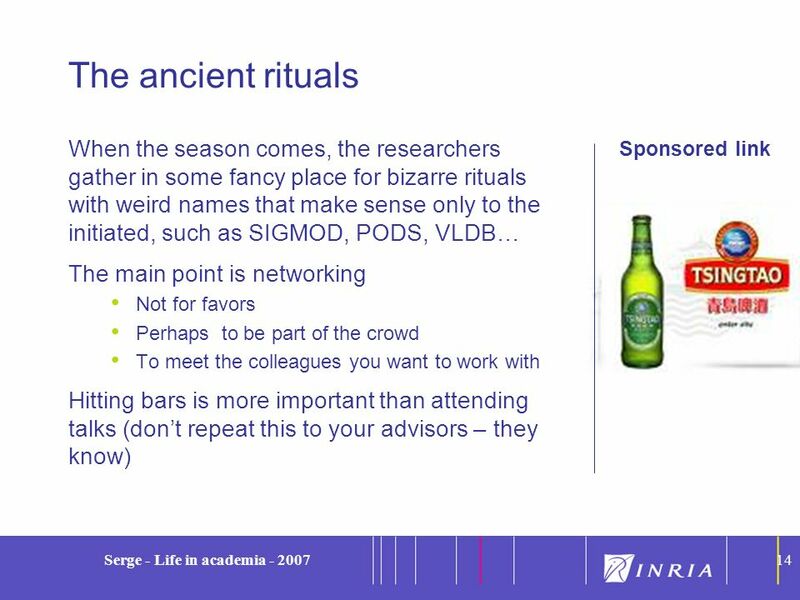 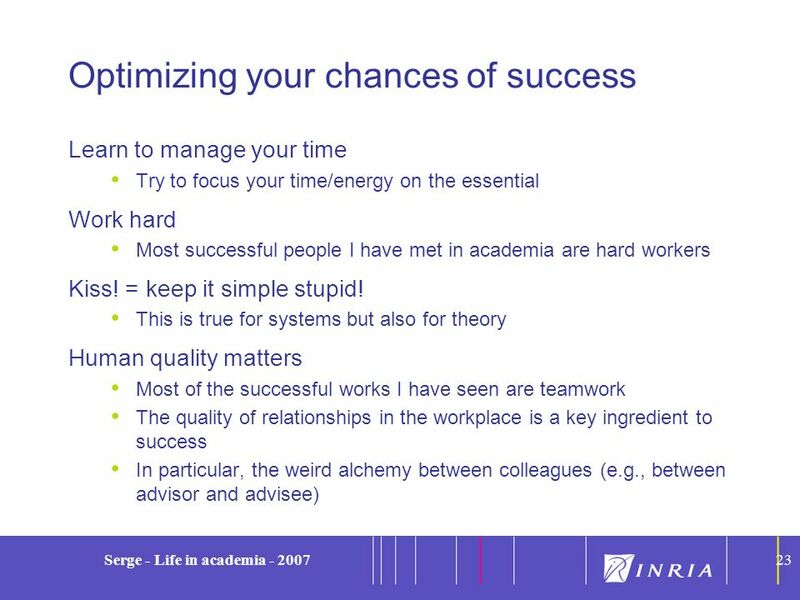 Download ppt "On life in academia Serge Abiteboul INRIA-Futurs and Univ. 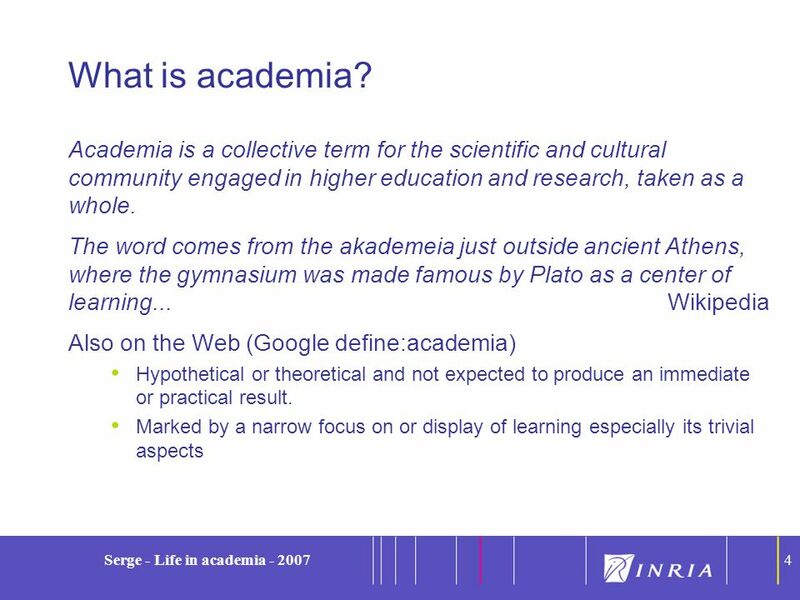 Paris 11"
© Nick Feamster and Alex Gray Ph.D.: What is it? 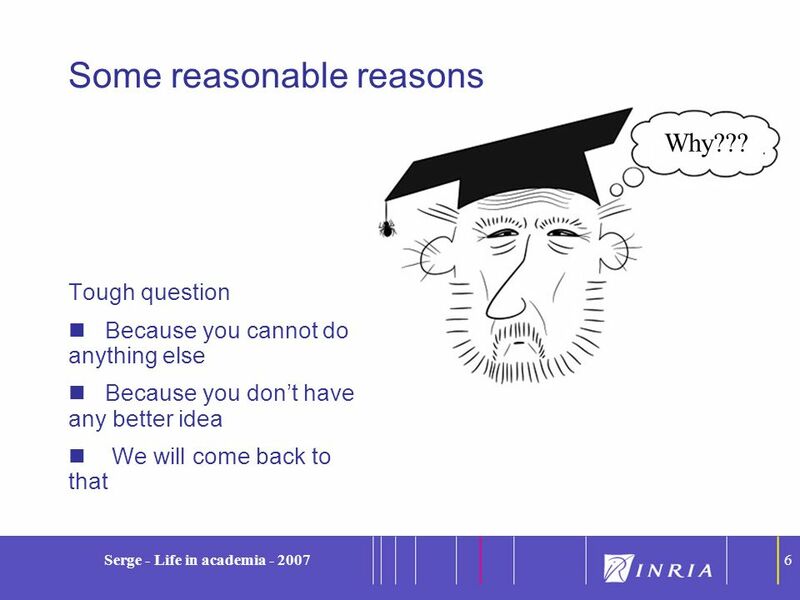 Why do it? 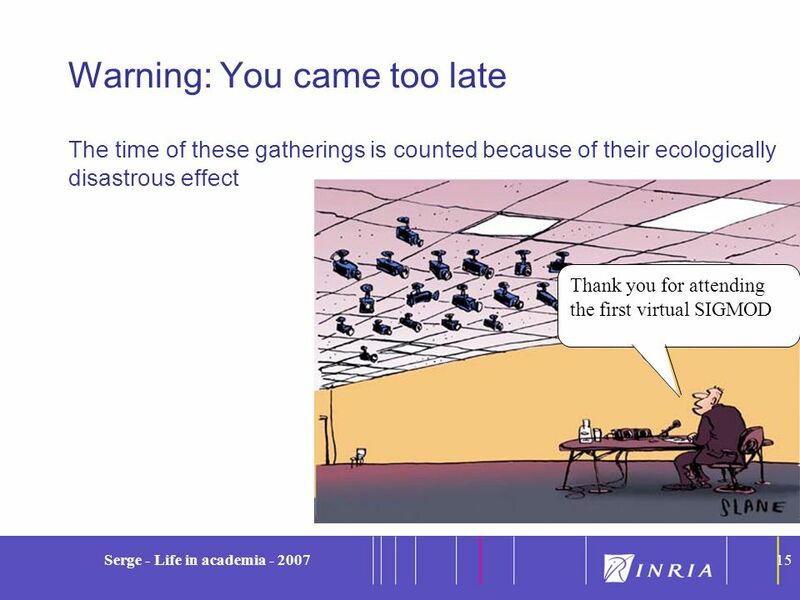 Nick Feamster and Alex Gray College of Computing Georgia Institute of Technology. 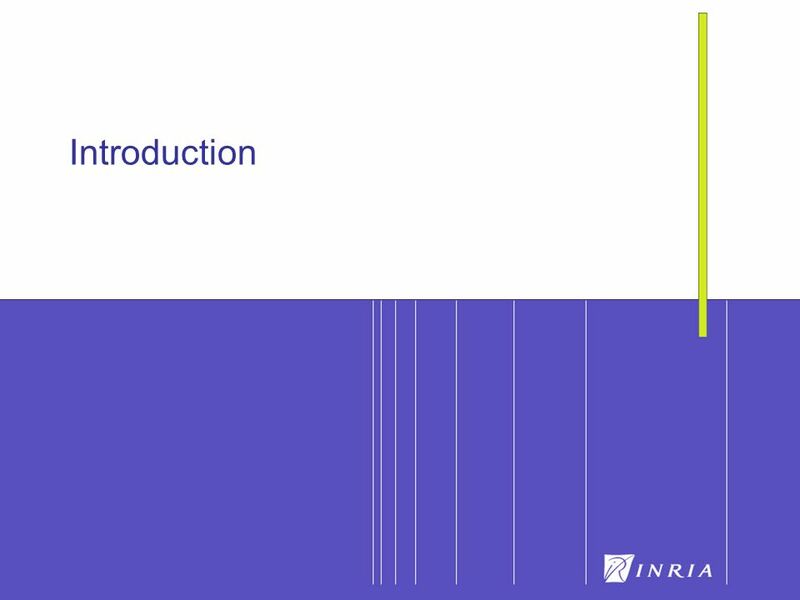 LAW February A 5/3 approximation algorithm for a hard case of stable marriage Rob Irving Computing Science Department University of Glasgow (joint. 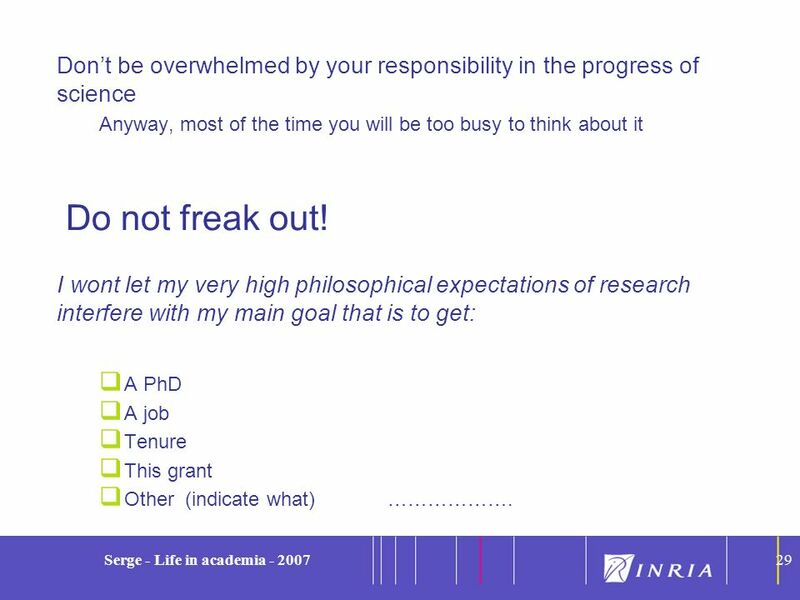 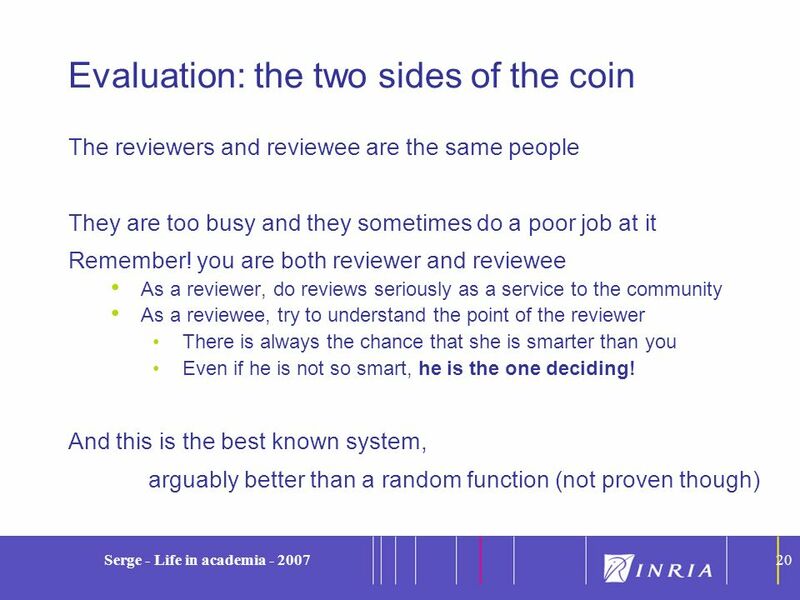 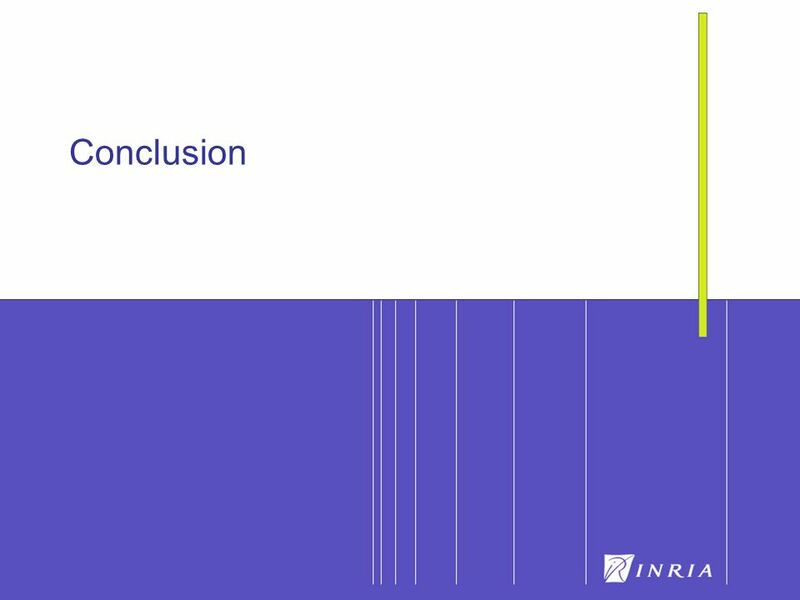 2009 - 2010Fadhl Al-Akwaa: My Research Tips My Research Tips Fadhl M Al-Akwaa I believe that you have an important Tips than this presentation, PLEASE.